All Kinds of Scans – Canvas and Frames. Something that we do a LOT of, is scan large images. We’re talking like… posters, maps, large family photos, photo collages. Sometimes people bring in painted canvases, and they’re like, “Um… can you do this?” And I’m like, “Yeah. I can.” and then they’re all like, “Dang. Nobody else can do this.” And I’m like, “Well.. I’m sure some people can, but yeah.. most people can’t. What’s your number and I’ll call you when it’s done.” Then we high-five, and that usually ends the conversation. We even have pretty good luck scanning images from behind glass (while they are still in the frame). If you REALLY want a copy of something, but you are super afraid to take it out of the frame, bring it on in, and I’ll try to reproduce it for you… for free. It’s worth a try, right? 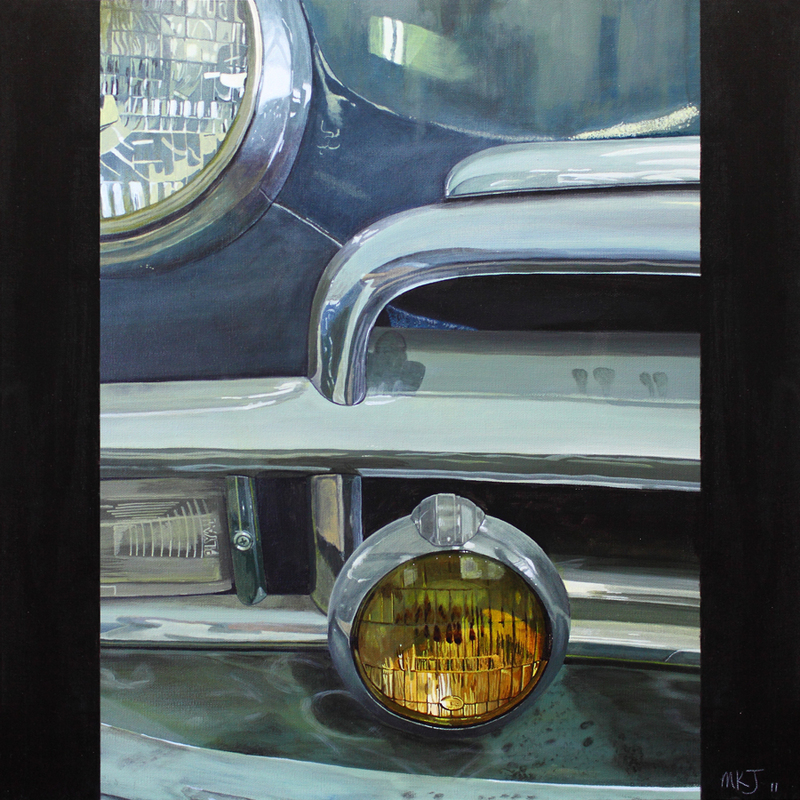 The image below is called ‘1950 Plymouth’ and is an acrylic on canvas, by Meghan Jesberg. I was amazed at how photo-like it looked when she brought it in. Check out her website (meghanjesberg.com). Her work is amazing! Still Don't See What You Need? Call 314.832.DONE(3663) or E-Mail us! It's more than likely that we know someone personally who can do a good job for you. Copyright © 2010 TheDoneDept.com – Print and Design Shop of Rotolite of St. Louis. Design by Greg.